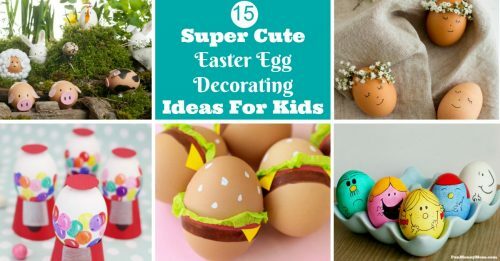 Looking for fun Easter Egg decorating ideas? 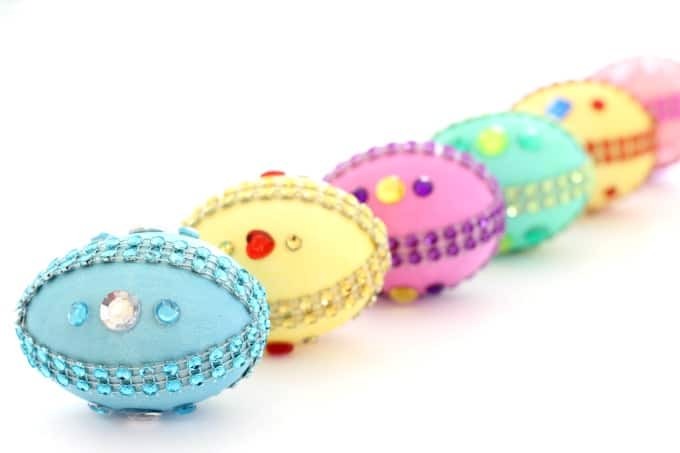 If your kids are into princesses, they’re going to go crazy for these adorable Disney Princess Easter Eggs! 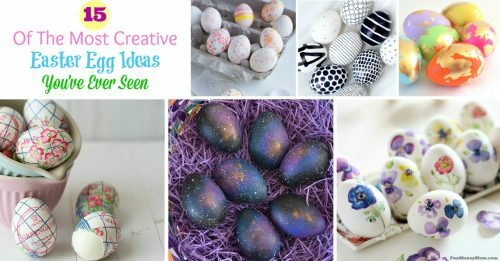 Duck…you’re about to be bombarded with Easter egg ideas! Okay, so I’m not actually going to be throwing them at you but if you visit my blog in the next week or so, you’re going to be seeing a lot of them. 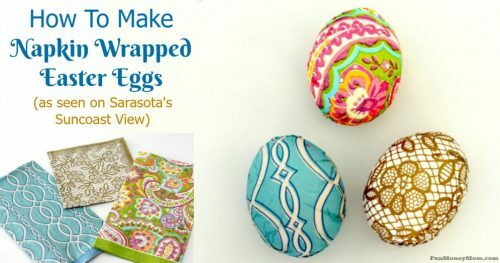 I’ve been invited back to Sarasota’s Suncoast View to share fun Easter egg ideas, which means I have to make them first! My first ever appearance was an Easter Egg decorating segment last year so I feel like this year’s eggs have to be bigger and better! 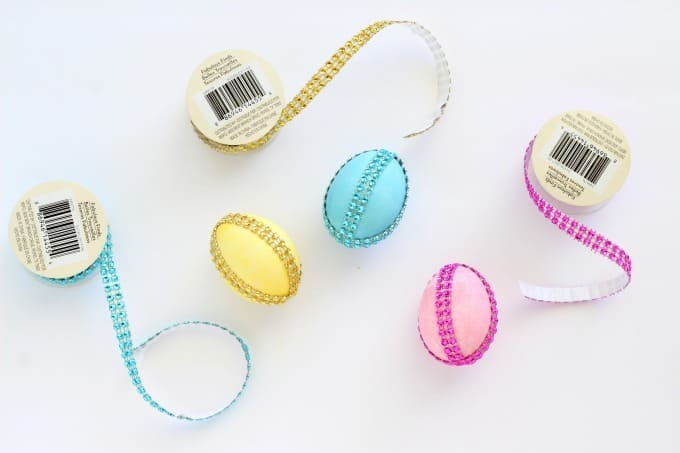 I always have plenty of Disney princess ideas and these Disney princess Easter eggs were no exception. As I was digging through my craft drawers for inspiration, I found some bling (my craft drawers are FULL of bling!). 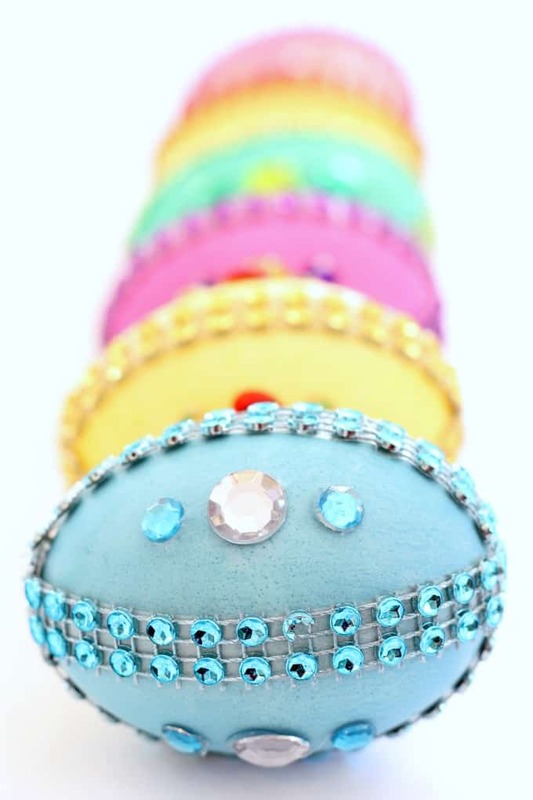 What could be more fun than blinged out Disney Easter eggs, right? Though they might have started out as regular Easter eggs, my six year old had other ideas. 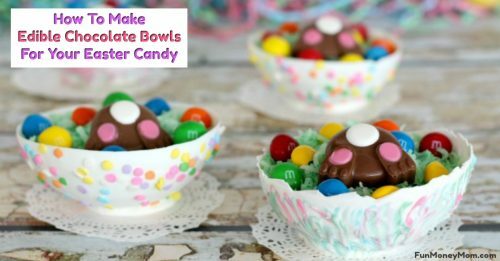 You’ll need to start by blowing out your eggs (these are way to pretty to throw away after Easter!). This is the hardest part because it always makes me feel like my head is going to explode! At this point, I still had no idea that I was actually making princess Easter eggs so I started with three eggs and some food coloring. 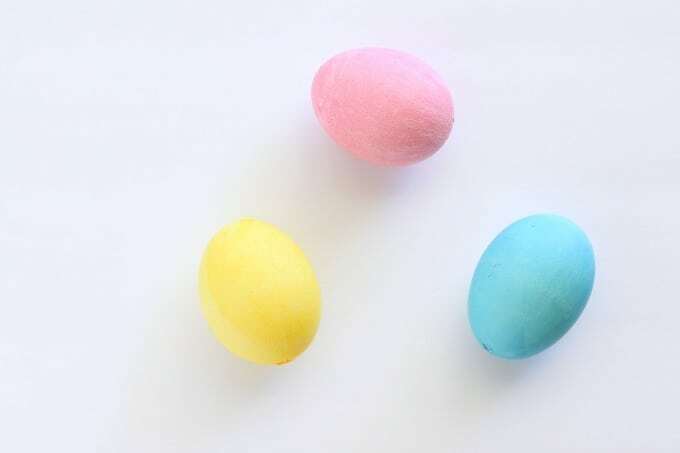 I food coloring to dye the eggs pink, yellow and blue (to match the bling I’d pulled out). Just combine 1/2 cup of hot tap water with 1 teaspoon of vinegar. Some instructions say boiling water but I found that hot tap water works just fine (plus, who wants their kids using boiling water?!). 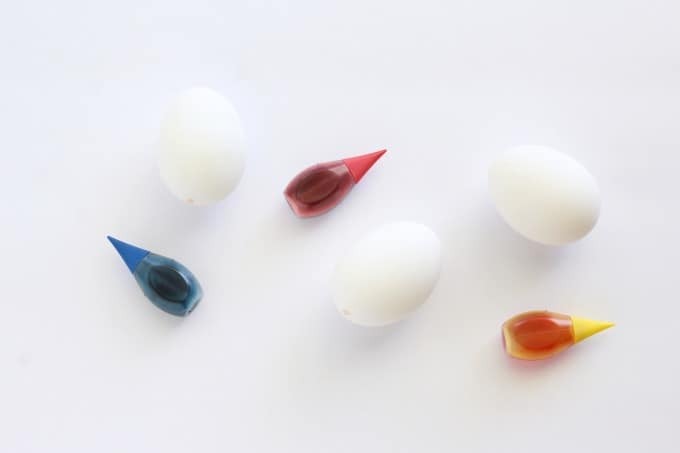 After combining the vinegar and water, add food coloring until you get the color you want. Next, grab the bling. 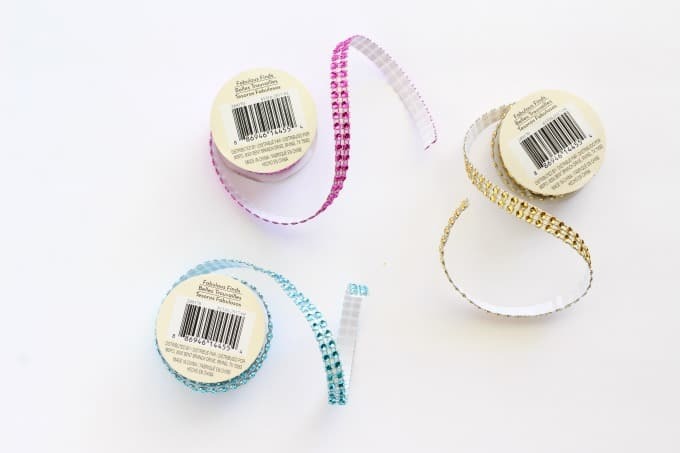 I love these rolls of sticky back gems. I always find mine at Michaels in the bins by the registers. If you can’t find these exact ones, you can use a row of regular gems as a substitute. Peel the back off part of the gems. Starting at the top of the egg, wrap the trim around the egg vertically, starting from the bottom. Next cut two smaller pieces to fit down the sides. When you’re done, they should look like this. This is when my six year old walked in, took one look at the blue egg and decided that it was a Cinderella egg. Then she proceeded to tell me that the yellow egg was for Belle and the pink egg was for Aurora. What Keira wants, Keira gets. What can I say, she’s pretty cute! 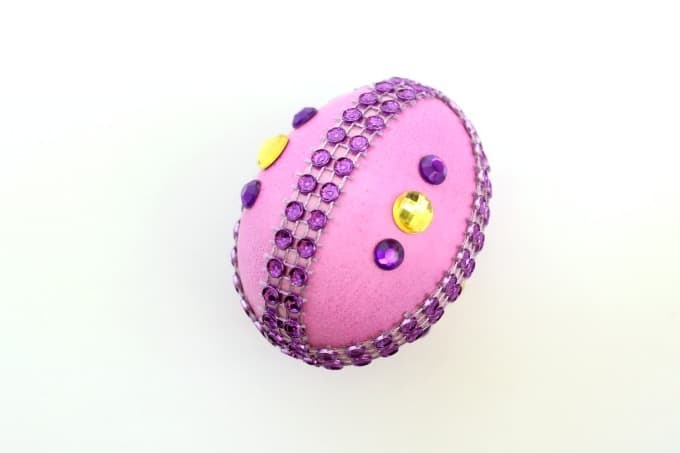 Each of my blinged out eggs was now a Disney princess Easter egg. If that was the case, we needed more jewels! I went back to the drawing board (in this case, my craft drawers) and found more gems. Cinderella needed something that resembled a glass slipper so I went with “diamonds”. Just for fun, I added a couple more blue jewels too. 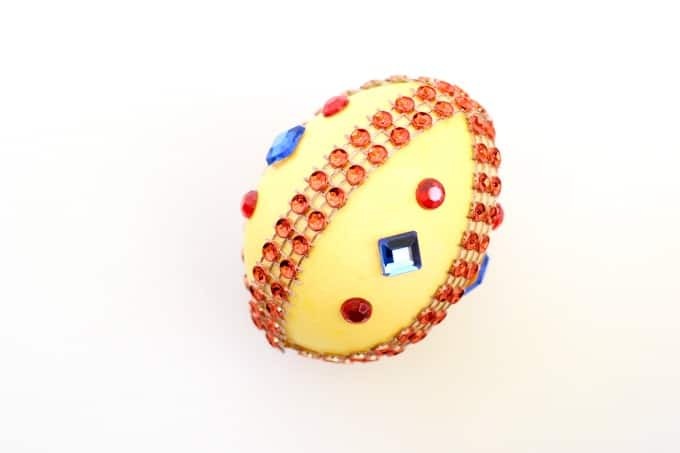 For the Belle egg, I’d need red gems to represent the red rose. All I had were hearts but since the movie is about falling in love, I figured that fit. Of course, you can never have too much bling so I added a couple more gold gems alongside the red ones. Aurora doesn’t really have a “thing” like glass slippers or rose so I wasn’t sure what to do at first. 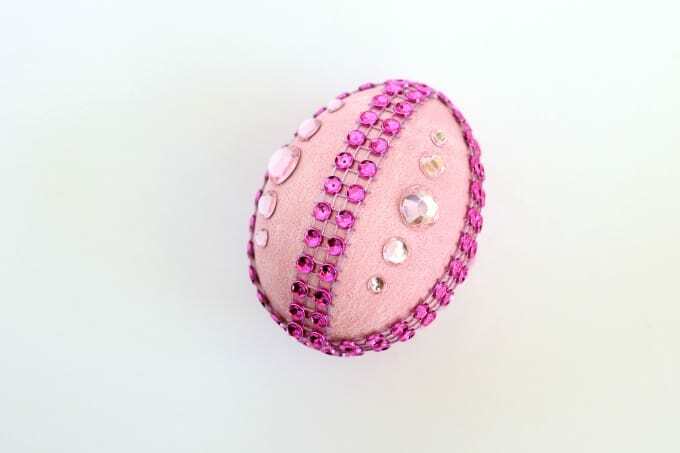 I started with a pink egg and hot pink trim. I thought about adding red, green and blue gems for the fairies, then realized that wouldn’t work since I didn’t have green gems! Since you can never have too much pink, I just went with that. It’s Aurora’s favorite color so I think she’d like it. I really love the way these eggs turned out and Keira was right, they did look like Disney princess eggs! I thought these three princess eggs were so cute that I just couldn’t stop there! I grabbed more gems and made Tiana, Rapunzel and Snow White too. There’s no such thing as too many princesses, especially in our house! Tiana was actually the hardest one because it wasn’t easy to get the green just right. I think I came pretty close though. 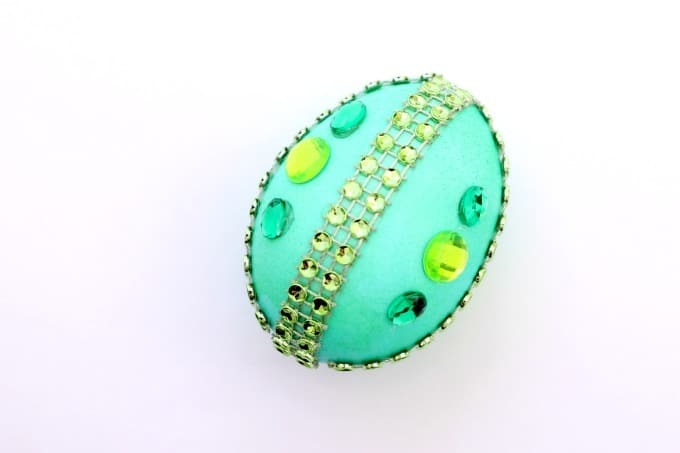 After adding light green trim and yellow and gold gems, we had a Tiana egg. Rapunzel needed lots of purple and of course a little yellow to represent both the sun and her beautiful hair. 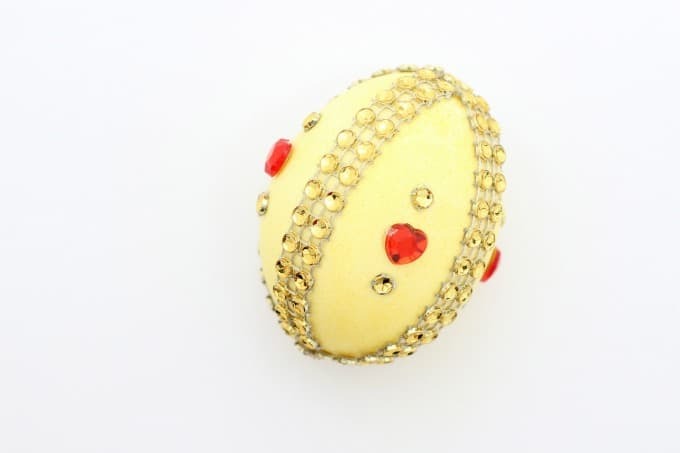 For Snow White, I started with a yellow egg. After adding red trim and a few blue and red gems, it was perfect. 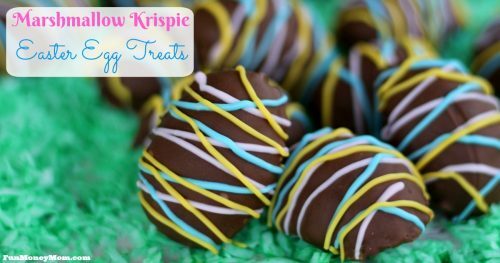 These were so much fun to make and they’re definitely the girl’s favorite. I love that Keira came up with such a creative idea! These turned out so good that I might even have to add more princesses next year. There’s still Moana, Ariel, Pocahantas and more! 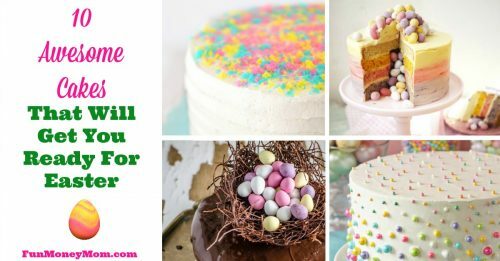 Which of these Disney Princess Easter egg ideas is your favorite? What Disney characters should I do next?